Dr Aadil's parents, Dr Kasim belongs to a family who are in homoeopathy for the past 102 years. He passed his MBBS from Government Medical College Nagpur in 1968. 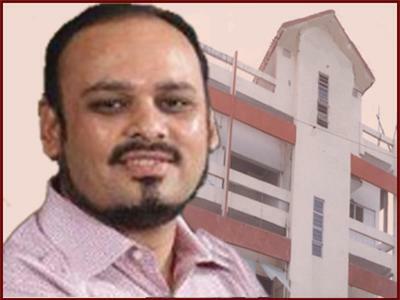 He did his Post Graduation in Skin from Calcutta University, Diploma in Tropical Medicine from School of Tropical Medicine Calcutta and Diploma in Homoeopathic Medicine and Surgery, from West Bengal Board of Homoeopathic Medicine. Now for the past 4 decades he has been serving the society as a Homoeopathic Consultant. He along with his son, Dr. Aadil are the only father-son duo who have qualified in both systems of Medicines - Allopathy and Homoeopathy. 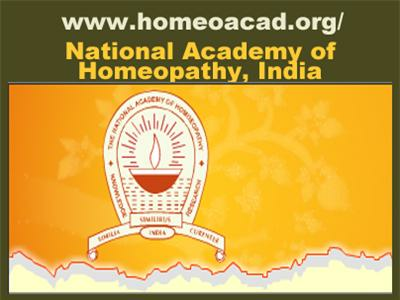 A founder fellow of The National Academy of Homoeopathy, India, Prof. Dr. Mrs Sagira Chimthanawala obtained her Homoeopathic Graduation way back in 1978 from Bombay Board of Homoeopathy & Biochemistry, Mumbai. 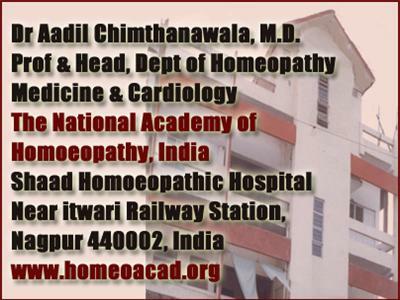 After working for a brief period as Lecturer and Asso Prof in Dept of Materia Medica, Nagpur College of Homoeopathy she has been practising as a Homoeopathic Gynaecologist & Obstetritian at her indoor Hospital - Shaad Hospital Complex and Research Centre for the past 30 yrs. She now Heads the Department of Gyn & Obstetrics of the Academy and is an active member of the faculty of the Postgraduate Training in Homoeopathy.